Fountain Lake is your home for convenient and exceptional living in OKC. Located just 12 miles north of beautiful Edmond City, our luxury apartments and lofts for rent in South Edmond, OK, offer close proximity to the landmarks and destinations that matter most to you. Located near a variety of transportation routes including I-35, I-240, I-40, I-44, and Kilpatrick Turnpike, your new home offers short commutes to local schools, businesses, and employers. University of Central Oklahoma is located just over three miles away, Integris Health Edmond is just seven miles away, and Mercy Hospital is located only eight miles away from our community.  When you live at Fountain Lake, a variety of restaurants, shopping, and entertainment are right at your fingertips. Savor the light and fresh flavors of your favorite sashimi and sushi rolls at Saki Sushi Bar or enjoy a classic steak dinner at Charleston’s Restaurant. Shop for produce and pantry staples at Sprouts Farmers Market or find new pieces for your home or wardrobe at Bryant Square Shopping Center or Quail Springs Mall. When you want to get outside, check out Spring Creek Park or visit the exotic animals at Oklahoma City Zoo. Experience life the way it was meant to be at Fountain Lake. To schedule your tour of our South Edmond, OK, apartments for rent near University of Central Oklahoma, get in touch with our leasing team today.